Airwheel S3 is one of the best sellers on the self-balancing electric unicycle/scooter market. I couldn’t help taking out my camera the moment I got my Airwheel S3. Now I’ll show you what Airwheel S3 really looks like. As Airwheel S3 is relative big in size due to the standing platform and the long shaft (it is 128 cm high, 61 cm long, 58 cm wide and 22.4kg in weight), it’s not convenient to have the whole device packaged in one box. So it was no surprise that I was delivered with two boxes: chassis and control shaft. 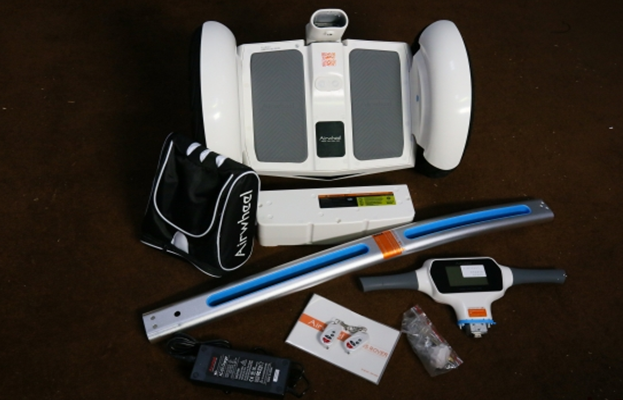 In the main box, there are Airwheel S3 chassis and accessories including a charger, a remote controller, an extended pump nozzle and customized night riding set. You have to pay attention that the battery and chassis are separately placed in the box so you have to install the battery yourself, which requires a screwdriver. Here I took a photo of all I got from two boxes. Next came the DIY process. It didn’t take me 15 minutes before I finished the assembling of Airwheel S3. 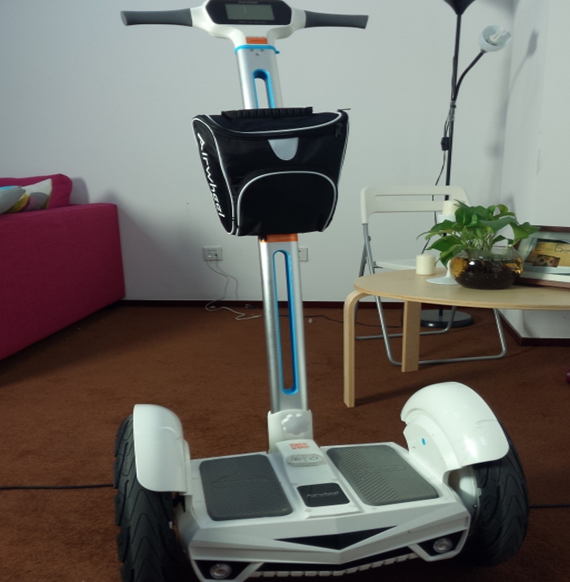 Here you can see, my Airwheel S3 is ready to go! Here are the specification for your reference. I have to say that Airwheel S3 is not as easy to control as it seems like. I thought it could be easy to balance because there was a standing platform and the wheels are set apart. It turned out that S3 still required a certain amount of balancing ability because the device is steered by the body inclination instead of the control shaft. Basically the gyro based Airwheel S3 operated exactly with the same principle as a self-balancing unicycle. You tilt forward and backward to control the direction and speed of the device. The control shaft is used only when you want to take turns. But generally, the Airwheel S3 is much more stable than Airwheel’s other models. For just a few times, one can steer the device with proficiency. I’d rather refer the self-balancing electric scooter as “body controlled personal transportation”, as it really can be used to commute or as an alternative to a bike. For gadget lovers, I strongly recommend this Airwheel S3. You’ll experience the feeling of floating only by trying the Airwheel S3 yourself.